Alexander Kartveli, design genius like Tesla and other early technology innovators. Futurist and engineer. Designed A-10, P-47, F-84, F-105. Designed early space shuttle concepts for NASA. On his death in 1974, Kartveli’s contributions to aircraft research and design became a part of aviation history. Looking back on his life today, it is easy to conclude that Kartveli is among a small number of technology innovators whose impact extends far beyond the initial field of invention. His zeal for breaking new ground and driving new concepts to reality resulted in critical military advantages for Allied forces in World War II. Even today, the A-10 Warthog, a Kartveli design, remains in service as the most effective close air support fighter aircraft in the US Air Force. Without a doubt, Kartveli is Georgia’s most important export to America, and he deserves a permanent place in Georgia as a national hero. Trained as an artillerist in Georgia (then part of the Russian Empire), Kartveli’s aviation aspirations landed him at the most prestigious aviation school in France at a very young age. Aliened from his family after the collapse of the Russian Empire, Kartveli supported himself by working in a trapeze act in a Paris circus and as a designer for the Louis Bernand aircraft company. There, he designed a plane that would establish a world speed record. Kartveli then chased his dream by coming to America. Funded by entrepreneur Charles Levine's vision to create an new aircraft company, Kartveli arrived in the United States in 1927 as a penniless immigrant aircraft designer. Kartveli was for many years shielded from the public because his work in the United States involved critical military affairs. Like other scientists and engineers of his time, details about his work and personal story were classified due to a perceived threat of espionage, assassination or kidnapping. The need for secrecy persisted until after his death. Just recently, access to Smithsonian and Lockheed archives revealed details of his critical role in winning the battle for air superiority. Today’s state of technology appears to be threaded in every facet of our lives from toothbrushes to electric cars - and in ways not imagined even five years ago. Yet this was not always the case. The early years of technology innovation began with the need to solve classified military problems or exploit secrets involving espionage and code breaking. The Defense Advanced Research Projects Agency (DARPA), an agency of the United States Department of Defense, is responsible for the development of new technologies for use by the military - and eventually by civilians. DARPA has been responsible for funding the development of many technologies that have had a major effect on the world, including computer networking, which was both the first hypertext system and an important precursor to the contemporary ubiquitous graphical user interface of the Internet. Prior to DARPA (and NASA), one major area of technology innovation centered on marrying electronics with aeronautics within the nation's aircraft manufacturing companies. Like other early innovators of his time, Kartveli envisioned future advancements well ahead of the public imagination - including spacecraft and early space shuttle concepts. For example, in an article published in 1952 ("Hometown Observes Birth of 'Avionics' in Plane Industry"), Kartveli said, "The higher and faster man flies, the more electronic gadgets need to supplement his thinking." Kartveli's capacity to translate ideas into reality led to his role as an advisor to the National Advisory Committee on Aeronautics, the predecessor to NASA, where he contributed designs that proved to be the seed concepts for the space shuttle. Here is a reference to Kartveli's work on ramjet technology as described by NASA's History Office in "The Space Shuttle Decision" published in 1999. Kartveli and Antonio Ferri collaborated on early ramjet designs. Much has changed in the last century, yet Kartveli’s personal story is remarkably similar to the path of other technology innovators who pursued a scientific passion by coming to America. Nikola Tesla's story parallels Kartveli's in several fascinating ways. In June 1884, Tesla relocated to New York City from Serbia. During Tesla's trip across the Atlantic, his ticket, money, and luggage were stolen, and he was nearly thrown overboard after a mutiny attempt on his passenger ship. Tesla arrived with only four cents in his pocket, a letter of recommendation, and a few poems. Where Tesla's era faced important challenges in the field of electricity, Kartveli brought his passion for the design and engineering of metal aircraft and swept back wings to defeat tyranny. They both were financed with venture capital from industrialists and financiers seeking to exploit rapid changes in technology - and both experienced early business failures. After WWII, aircraft design trended towards jet propulsion - and introduced an entirely new set of challenges in terms of materials and electronics. In this new environment, Kartveli naturally excelled. For example, design of the F-105 Thunderchief began in the early 1950s as a skunk works project within Republic Aviation. Intended to be a replacement for the F-84 Thunderjet, the F-105 was created as a supersonic, low-altitude penetrator capable of delivering a nuclear weapon to a target deep within the Soviet Union. Led by Kartveli, the design team produced an aircraft centered on a large engine and able to achieve very high speeds (mach 2.1). Almost all of Kartveli's designs resulted in critical military advantages that saved lives. 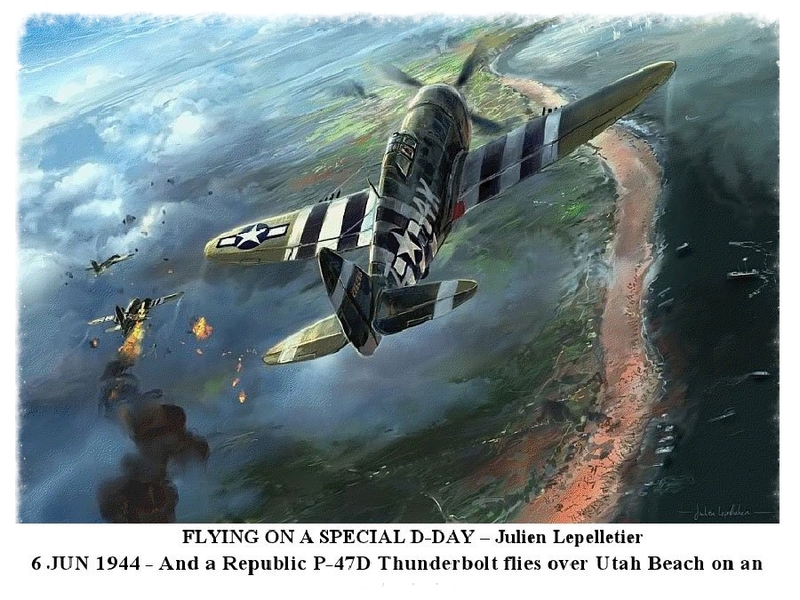 Kartveli's P47 Thunderbolt was considered the deadliest aircraft in WWII. It turns out that this aircraft was an early predecessor of the A-10 Warthog, a Kartveli design, that remains in service today and is feared as one of the deadliest aircraft in the battlefield for its class. The common thread in Kartveli's legacy is excellence in design. He always had an eye for efficiency, problem solving and know-how to scale his work as a critical force multiplier. Kartveli's plane designs are responsible for millions of sorties across multiple theaters and decades of service. The Republic Aviation Corporation was an American aircraft manufacturer based in Farmingdale, Long Island, New York. Originally known as the Seversky Aircraft Company, the company was responsible for the design and production of many important military aircraft, including its most famous products: World War II's P-47 Thunderbolt fighter, the F-84 Thunderjet and F-105 Thunderchief jet fighters, as well as the A-10 Thunderbolt II close-support aircraft. Kartveli was Republic's chief designer, vice president and early founder along with Alexander de Seversky himself. Under the weight of massive losses, Seversky eventually lost control of his company, and its new owners transformed the company into Republic with Kartveli as lead designer. Both Seversky and Kartveli happened to have been born in the same city, Tblisi, Georgia. Kartveli proved to be an imaginative futurist. His close contact with the projects and people involved with advancing aeronautics and space travel attracted constant media attention. Kartveli often explored how the future of civilian travel would eventually advance as a result of the military's investment in design and technology. This article in Missiles-Space Magazine in 1961 contains a variety of references to hypersonic travel including some classified concepts.